← The Company I work for, CSA, asked me what it means to be a Veteran. 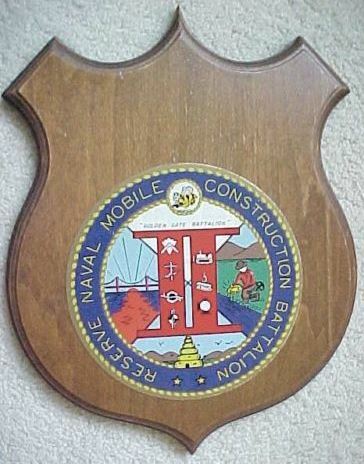 After what seems years of looking I was finely able to locate something that had the seal of Reserve Naval Mobile Construction Battalion Two ( RNMCB 2 ) the SEABEE battalion I served in after my active duty period. I was able to find a plaque with the seal on it on eBay, I set up my account to look for items that matched anything that had “Reserve Naval Mobile Construction Battalion Two, RNMCB 2, and other variants of the same back in 2008 and so some six plus years later I finely got a hit. The person who was selling it wanted $80.00 or Best Offer; $80 was way more than I could afford to pay. I made an offer of $30.00 and was ignored. By the time the listing expired the seller hadn’t sold it. I waited about a week for the seller to repost the plaque but it never happened so I sent a message offering $40.00. To my surprise my offer was accepted and as soon as it was reposted I purchased it. The package it came in was post marked from San Francisco, CA which shouldn’t have surprised me as much as it did. This entry was posted in Military and tagged NMCB-2, of Reserve Naval Mobile Construction Battalion Two, Reserve Naval Mobile Construction Battalion 2, RNMCB TWO, RNMCB-2. Bookmark the permalink. 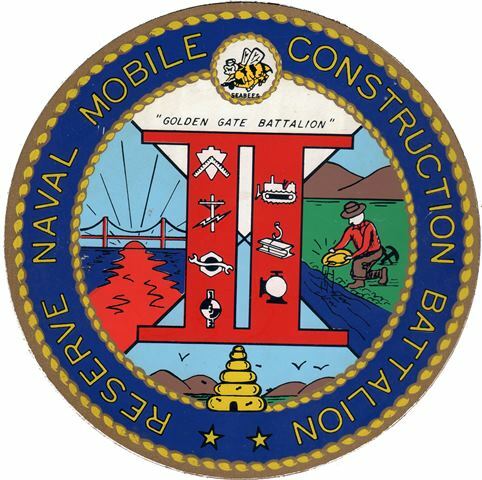 17 Responses to Reserve Naval Mobile Construction Battalion Two Logo FOUND! Usabaker, Thank you for sending this logo. I forwarded it to Chief John Wayne Blassingame. He served in RMCB2 for many years. I believe he was a UT Chief. Thank you again. I am very proud of my serving in that battalion. Thanks for writing! I was a CM in RNMCB TWO 1980 to 83′ I miss the BEES and the Navy everyday my only consultation is that I work for the Fleet as a contractor and get to be with the navy everyday. I looking into having patches made now that I have the artwork. I also bid on this item and offered 30 dollars. He countered with 60 and I thanked him and declined his offer. I was also looking for this insignia for some time. Good to see it has a good home. Were you with RNMCB2? I’m converting the graphic to a Adobe Illustrator file so I can have patches made. I believe it was 802 in Utah. I was a DT3 there after active duty. I would be interested in a patch if you do have them made. Just had the graphic converted to an IA illustrator file but the guy didn’t do it right so I need to have it done again. Once I get it done I’ll have the patches made. Anyone interested in PVC patches? was thinking about making 6 inch PCV as well. Are patches being made or have they been made and available? Just Checking, thanks guys.